NEWARK (DEC 15 10) – Joe Alloco had pretty much finished up his presentation, but he wanted to add one note. “I do business in a lot of towns,” the developer told the Newark Planning Board on the night of Nov. 2, 2009. “But I have to tell you, the staff here is so helpful. You’re lucky to have them.” The site plan for his new Eastland Valley apartment buildings was on the table, and he left. A moment later, Linda Baker, the board’s clerk, told members that 20 years ago, Alloco’s father, a developer himself with properties in Newark, had died. The elder Alloco left the business to his son, who was 18 at the time. Joe Alloco came into the village offices, ended up in front of Baker, and told her he didn’t know what to do, didn’t know where to start. She spent time with him, walking him through every step of the process for approvals, showed him what he needed to fill out, and sent him out the door with everything he needed. 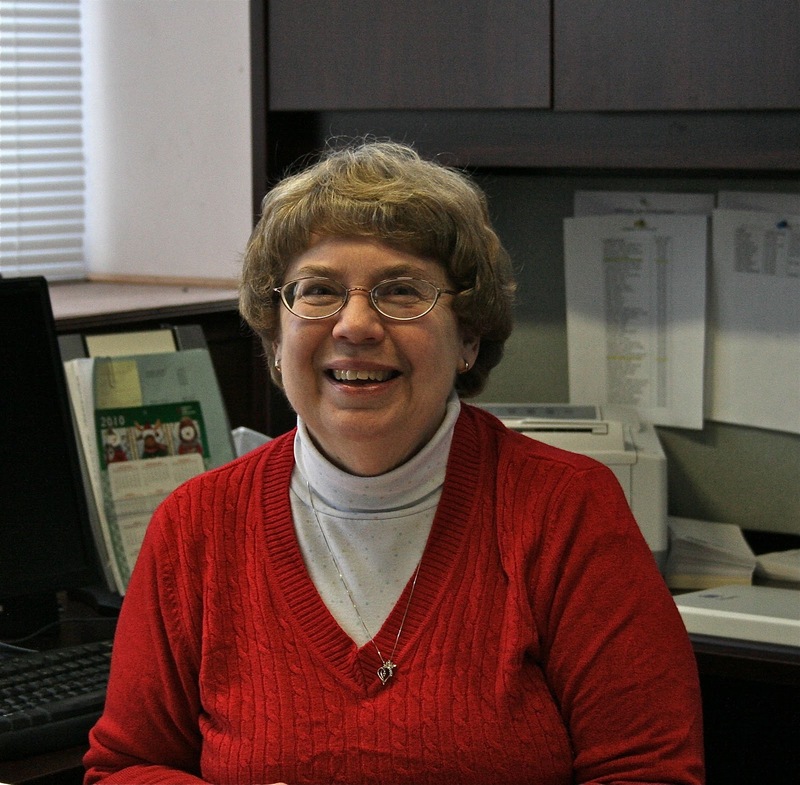 Linda Baker has been a village employee, now the deputy code-enforcement clerk, for 22 years. 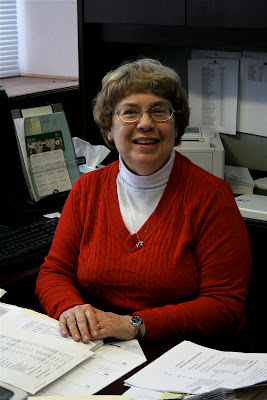 At the end of the month, she will walk out of the village offices for the last time. Her husband is waiting with a new camper, a boat on Lake Ontario, maps of places to see, and a list of requests for visits from grandchildren and great-grandchildren. She came to Newark with a perfect resume – an executive secretary at Sarah Coventry International, administrative work in a drug store, and a stint as deputy clerk-treasurer for the Village of Sodus Point. She went on vacation after leaving the job in Sodus Point, and the late Steve Brumm, the village clerk in Newark, tracked her down and asked if she’d come in and talk. When they spoke, he offered her a job. “They brought me in as a back-up for payroll and payables and special projects,” Baker said. “Then in 1991 I started working in code enforcement; I was just going to be a fill-in.” She stayed there for 19 more years. The planning and zoning boards have benefited from her gift for doing legwork, getting the details nailed down, and presenting the information in a form that’s simple and useful. Baker’s longevity – and her magnificent memory of everything that has come through the village planning, zoning, building and enforcement offices in the last two decades – are pearls of great value…and they’re walking out the door on Dec. 30. The village board of trustees realized last spring that when Baker departed, so did the treasure of her institutional memory. To try to preserve some of that, the board hired Robbin Bremer, Baker’s replacement, in April. Since then, Bremer has been Baker’s shadow, learning the processes, understanding the systems, and hearing the stories…tapping that institutional memory. But there’s more to what Baker brought to the village. It’s how she did her job that people will remember. “She is just a wonderful person,” said Blandino. And in fact, Baker’s personality has been a plus for the village offices. “Your goal should be that at the end of a phone conversation, you’ve made the person at the other end feel better. People who come in yelling and screaming, you want to make sure they have a smile on their face when they leave.” Not easy to do, but she accomplishes her goal with an earnest grace. And these days, grace is another great value. But there’s hope. “We have some tremendous space available for commercial and industrial development in Newark,” she says brightly. “Space in the technology park is at shovel-ready status. Newark is the most wonderful place to be. And a special place for her has been the village offices. “The fellowship here is wonderful,” she said. “This is my family away from home. I love everybody here.” She had praise for her boss, Mark Peake. For the mayor. For the planning and zoning board chairs. For the board members. Even for the computer system that has helped make her job easier. 2 Comments to "LINDA BAKER – UPBEAT, PROFESSIONAL, LONG MEMORY…AND LEAVING NEWARK"
I am Linda's youngest daughter, and am speaking on behalf of our family (My dad John and sister Tracy)- We are so proud of you mom! Your endless knowledge and extraordinary work ethic is to be commended- You have been a role model not only to us, but everyone who interacts with you. From your warm smile to your compassionate and friendly demeanor, it is no wonder that the fine folks at the Village of Newark Offices will miss you so much. You work harder than anyone I have ever met, and we wish you well in your retirement- You deserve only the best, and I hope you have lots of fun with all your newly found free time :) Much love Always! I have to agree with my sister Julie....I have never known anyone with a stronger work ethic than our Mom. Her dedication to the Village and her co-workers is unbelievable! Oh the stories we could tell....there were literally times when my sister and I had to go to her office and ambush her, just to get her to a doctor. She always had to make sure everyone else was taken care of, before she took care of herself. After her most recent surgery, one of the first words she said was "Did Charlie's timesheet get turned in"?......lol....Of course she wouldn't rest until she was reassured that it got done. I know you will be greatly missed at the Village of Newark Mom, but now it's "YOUR TIME". Enjoy!!! We all love ya!! !